No one expects to be in a car accident, but statistics from the National Highway Traffic Safety Administration (NHTSA), every person will be involved in at least one accident in their lifetime. The immediate aftermath of a motor vehicle accident is very stressful, and it can be hard to think clearly. It is important to know what to do if you are ever in a car accident, so we collected eight things that every person should do after a motor vehicle accident. Call 911 immediately, even if everyone seems to be okay. Emergency medical treatment is critical for saving lives and minimizing injuries after an accident, and any delay can have catastrophic consequences. The first thing to do is evaluate your own condition and any passengers in the car. If possible, check on the condition of the people in the other car as well. Try to stay calm and observe visible injuries. If no one appears to be hurt, drivers often agree to exchange information and then leave without calling the police. This is a mistake. 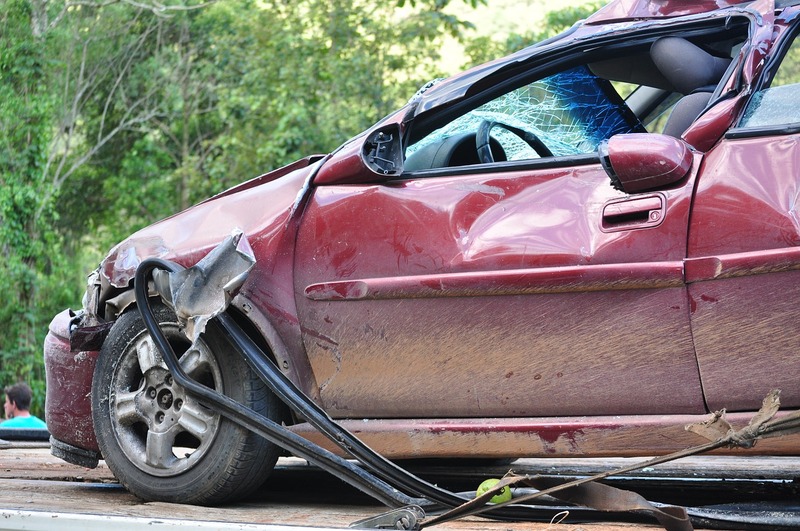 In Oklahoma, it is illegal to leave the scene of an accident if there is an injury or serious damage. Drivers are often stunned weeks after the accident when the other driver or passengers allege that they experienced serious injuries. It is better to call the police to protect yourself. In the rush of emotions after an accident, it is tempting to apologize and admit fault. But everything you say at the scene may be taken against you, and even seemingly innocent comments by be considered admissions. Avoid arguing with the other driver or passengers, and avoid discussing liability for the accident. Use your telephone or another mobile device to take as many pictures as possible after the event. Take pictures from every angle and also photograph the people involved. Write down the names and telephone numbers of anyone who witnessed the accident. Report the accident to your insurance company. Your policy requires you to report all accidents, and they can deny your claim if you delay filing a report. Avoid posting about your accident on social media. Anything you say could be used against you by the insurance company and lawyers for the other side. Even innocent posts can be used to prove you aren’t as injured as you claim to be. Simply put, the risks of posting on social media are not worth it. You may think you don’t need an Oklahoma personal injury lawyer when you get in an accident, but if there are serious injuries or property damage, you need someone to fight for your rights. There will be insurance adjusters on both sides asking you to make official statements. This is not something you should face alone, especially when you are trying to schedule doctor appointments, coordinate car repairs, and recover from the accident. An experienced Oklahoma personal injury lawyer will make a big difference in getting you the compensation you deserve. By calling our office at 405-542-2529 (542-CLAW) you can speak with one of our highly experienced personal injury lawyers. Read more about our team, or continue reading and researching our free legal information library, or enter live chat.